There is a reason people keep coming to Dr. Reischl. Great satisfaction is found in going to a dentist you know and trust; one who can listen to best understand your needs. He has been practicing for over 30 years. His care and concern for patients brightens thousands of smiles. Highly committed to mastery in the latest dental techniques and innovations, Dr. Reischl continues to pursue the education he began many years ago at Loyola Marymount University where he majored in Biology. He went on to extend his education, receiving his DDS degree from the University of Southern California School of Dentistry. He continues to refine his knowledge with involvement in the Laguna Gnathologic Research Study Group and extensive continuing education. 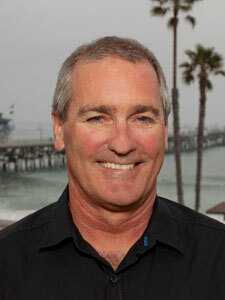 He is a member of the American Dental Association, California Dental Association and the Orange County Dental Society. Dr. Paul Reischl has provided personalized dentistry to thousands of families. Our patients come from near and far to experience the warm, individualized care we provide. We pride ourselves in utilizing the most modern equipment and methods available.